This set contains eleven Quickshade Washes. These Washes are probably the best in the hobby and will get you perfect shading every time plus the option of adding a colour tone to your miniatures. All Quickshade Washes (bottles) are a 100% colour match to the corresponding Quickshade Varnish cans. Complete Warpaints Set - Ltd. ed. 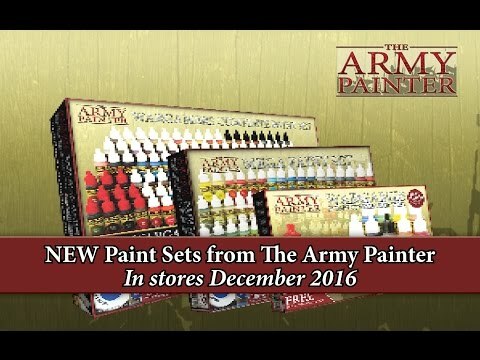 The Complete Wargamers Paint Set includes every colour from The Army Painters new fantastic range. As a serious wargamer and painter you will get EVERYTHING in this box you will ever need in order to paint any type of army, no-matter the size of the miniature or genre. The Warpaints are creamy and highly pigmented with astonishing blending capabilities, the washes cover perfect and the metallics are the absolutely best in the industry. There are also 9 Effect Paints for anything from Glistening Blood to Wet Mud, Dry Rust or for example Disgusting Slime! This set offers massive saving and even includes our 5 most popular Wargamer brushes absolutely free. 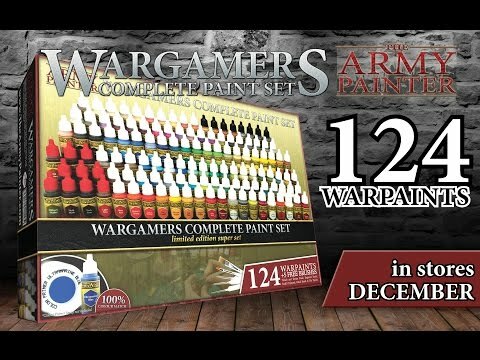 The Wargamers Complete Upgrade Set includes all the 74 colours, not included in the Mega Paint Set. 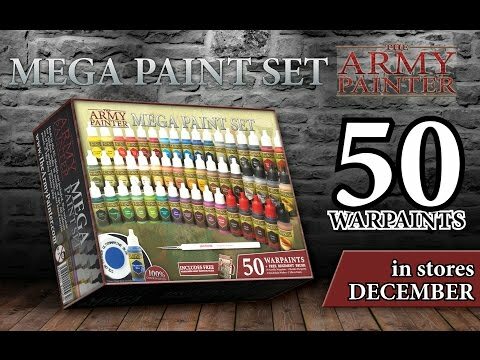 As a serious wargamer and painter, who already owns the Mega Paint Set, this upgrade set will give you the complete Warpaints range.